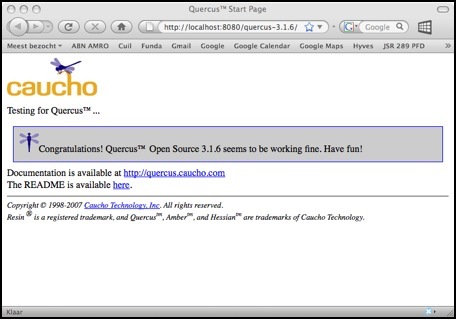 Quercus is not only an interpreter, it also offers PHP extensions allowing you to call server-side Java code directly from within your PHP script. The Caucho website offers some documentation on how to do that; this opens interesting possibilities on SailFin. You can now use JSR289 functionality directly from within PHP. For example, if you’re running a PHP guestbook, you could extend it to include SIP dial-out functionality. Of course you will need to complete other steps, depending on the type of PHP application you’re developing or trying out. 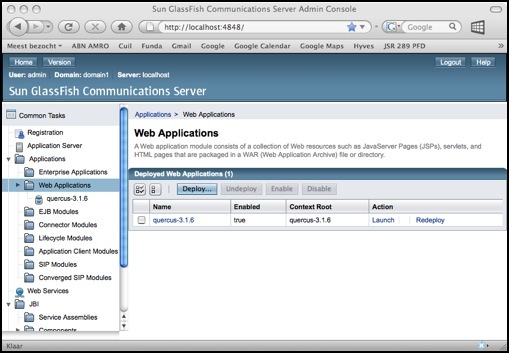 In the case of MediaWiki, you will need to setup a MySql server and create the appropriate JDBC objects in SailFin. I might describe how to do that in a later blog.